Hey All! 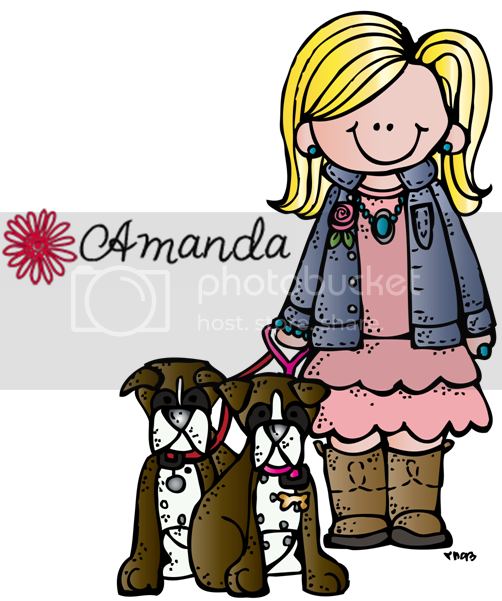 My name is Colleen and my lil' blog is Fun and Fearless in First. 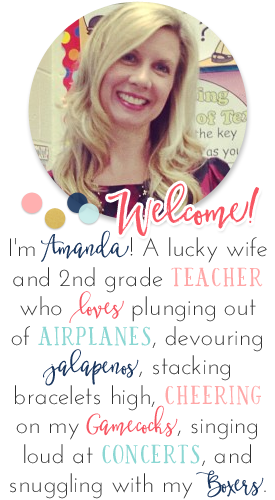 I'm thrilled to be here with you today on Amanda's blog. How cool is she to share her blog space?! I'm excited to share a little bit about myself with you today. If you like what you read, hop on over and check out my blog! 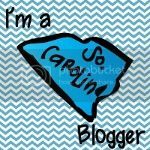 Fun and Fearless in First All About Me I started my blog about a year and a half ago. 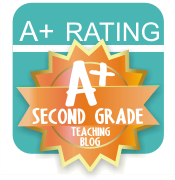 It was around then that I really started to find and read teaching blogs. I was so psyched to discover this amazing teaching community right on my laptop. I decided that I wanted to contribute, too! My sister helped me come up with my blog name and every time I say it, I smile. My sister is truly my best friend and I don't know what I'd do without her! 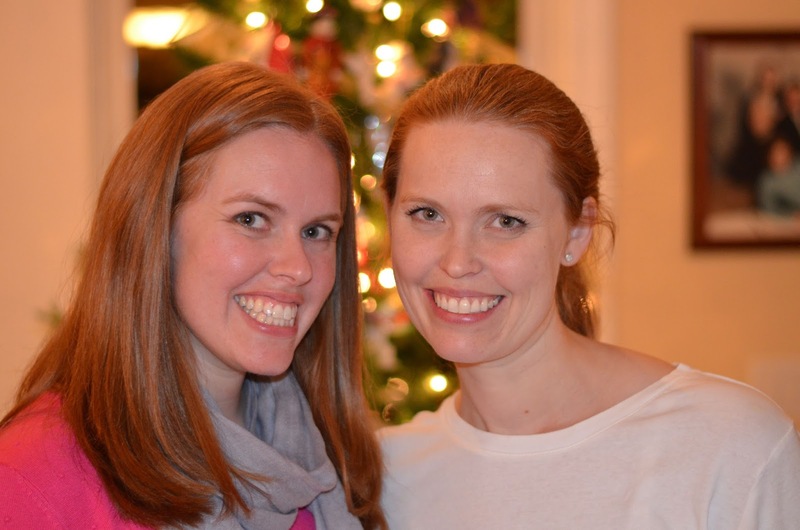 Me (left) and my awesome sis! 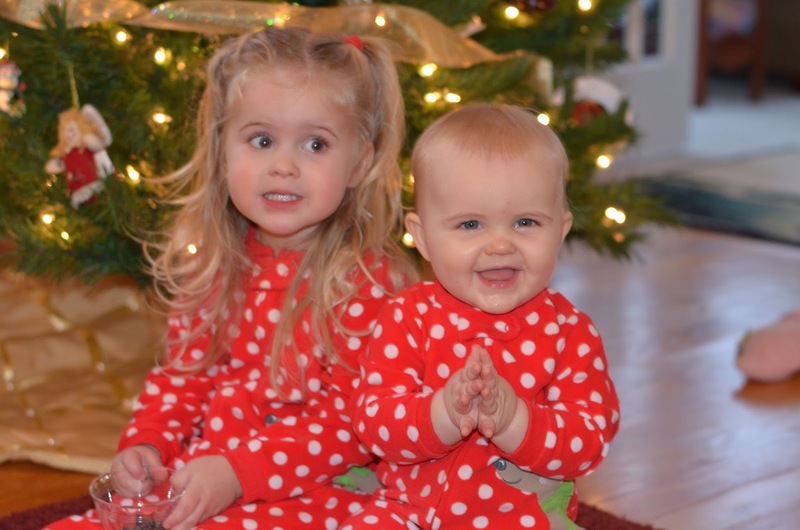 I'm also blessed to have two beautiful nieces! I write about them all the time on my blog. I just can't help myself. They are so darn adorable! I have been teaching for eight years now, but teaching is actually my second career! I started out in advertising, but just didn't quite feel satisfied. The minute I walked into the classroom I felt at home. I've taught four different grade levels (1st, 2nd, 3rd, 4th), in three different districts, and two states (MD and NY). The past eight years have been a whirlwind, but I wouldn't change a thing! I currently teach first grade in Syracuse, NY. I grew up in Rochester, NY and it's great to be so close to home, where most of my family still lives. My favorite subject to teach is most definitely reading. This wasn't always the case, though. 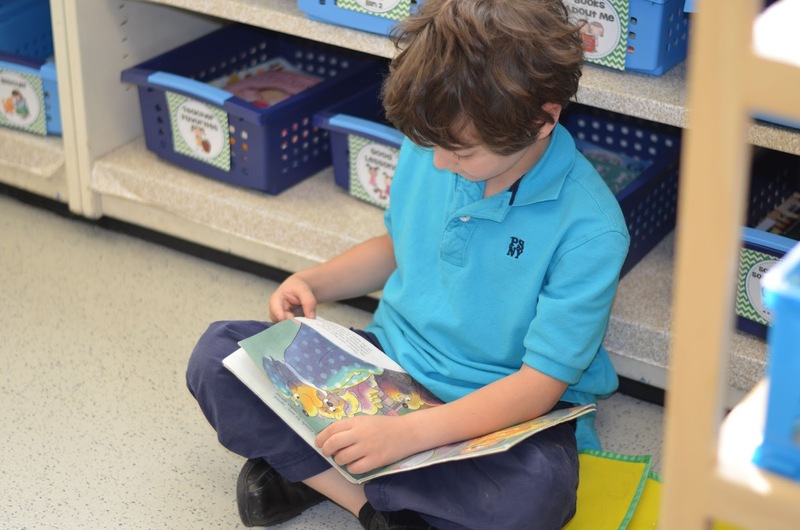 It wasn't until I began teaching first grade that I fell in love with the joy of the foundations of reading. I think there is no greater pleasure than seeing a child blossom in reading. The growth is so tangible in first grade. I feel so blessed to be a part of instilling a life-long love of reading. If you popped into my classroom unannounced, you would most likely see kids working around the room independently, in pairs, and see a small group with me at my reading table. I just recently wrote a post about Daily 5, which is one of my favorite times of the day! Though I absolutely adore my job, we all have "those days." When one of those days hits, I turn to chocolate, like most people! I usually wash it down with a Diet Mt. Dew. I'm not a coffee person, but I do need my caffeine. I also get a lil' help from my friends. Two of my teammates are my well-known partners-in-crime. I'm lucky to have one across the hall from me, and one right next door. All dressed up for Halloween this year! 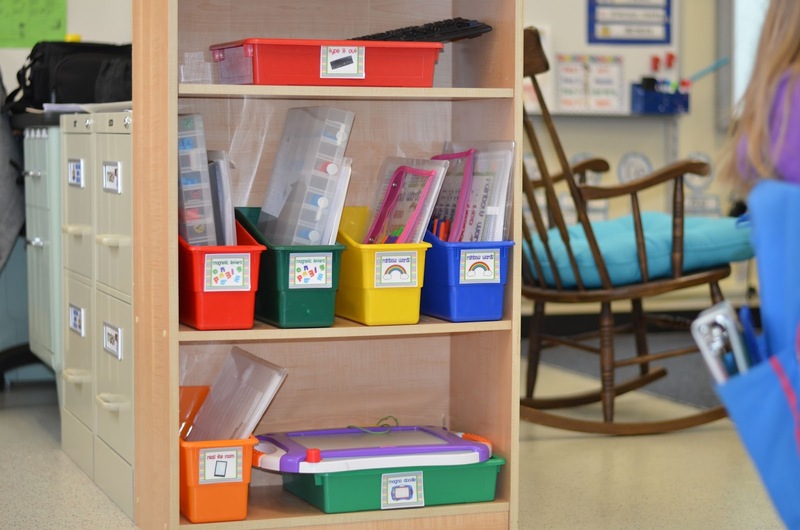 Classroom Can't Live Without I am well-known for my organizational OCD, so I definitely couldn't live without plastic classroom organizers. It's an obsession finding the right bucket, in the right color, and place it precisely in the right spot. My co-workers benefit when I go on an organizational binge, because they get all the discarded supplies! Thanks so much for having me today! The post looks fantastic. You are the best! 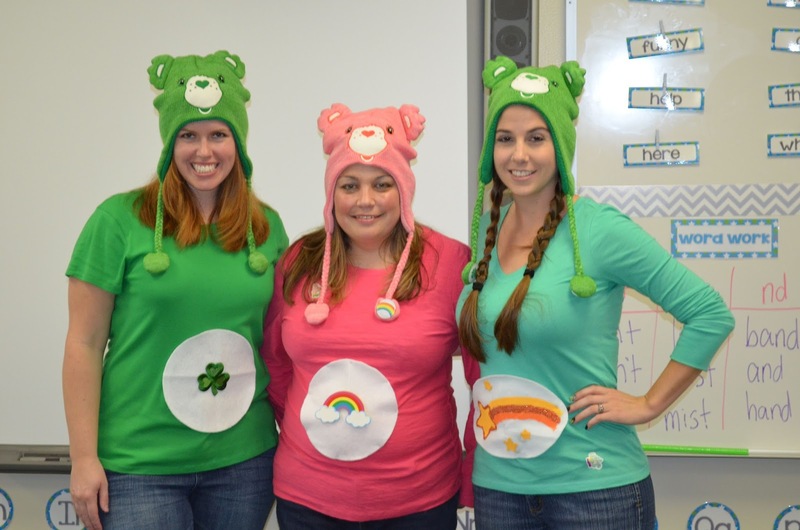 I love the Care Bear costumes and your nieces are so cute. What beautiful outfits. I would LOVE, LOVE, LOVE to share my information on here! I found your blog after reading some posts that were written about your awesomeness on the Spectacular Second Grade Facebook Page that we are both a part of. If you have a chance, check out my blog and let me know if this is something that I could be involved with! Thank you so much for the potential opportunity!